Divide your hair into 4 or more sections. This ensures that you can get thorough coverage. Unfortunately our water doesn’t always have the best quality especially if you are dealing with hard water. In this case you may want to purify your water using a water filter and then put it into your spray bottle. If you decide to use a leave in for the first step of the LOC method rather than just plain water, make sure that the product has water within the first 5 items of the ingredient list; ideally it should be the first item (same thing for your cream). The product must contain water in order to be an effective moisturizer. Coconut oil, olive oil and avocado oil are good choices when using the LOC method because they penetrate the hair shaft. If you are using oils that do not penetrate you are better off reversing the order to LCO. Feeling like no matter how much product you add to your hair it is always dry? There is a reason for this. You have too much product buildup and it is time to cleanse your hair. When you have too much product buildup it is challenging for the moisture you are attempting to put into your hair to get through the layers of buildup that is already there. If the buildup is really bad, consider using a clarifying shampoo. 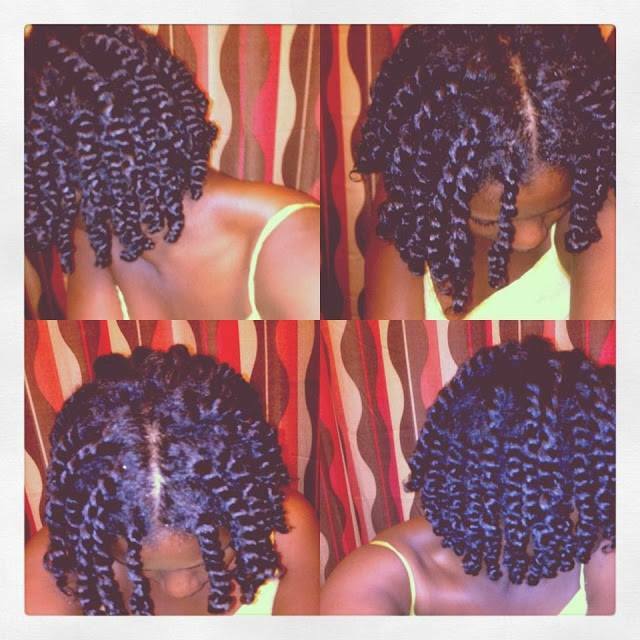 Protective styling not only helps you to retain more length but it also helps you hold onto more moisture. Hair worn out will lose moisture faster than hair that is worn in a bun for example. Try doing more protective styles especially during cold dry weather and see if it makes a difference.